I am sure everyone knows out how to make sweet potato fries. However, I finally figured out how to make them crispy! I learned that corn starch is the secret ingredient to making fries crispy. Wash and cut your sweet potatoes into medium-thickness strips. You do not want them to be shoestring thin or else they will burn! Also, I tried to keep the potato skins on but I did have to remove the skin in a few places where I could not remove the dirt. 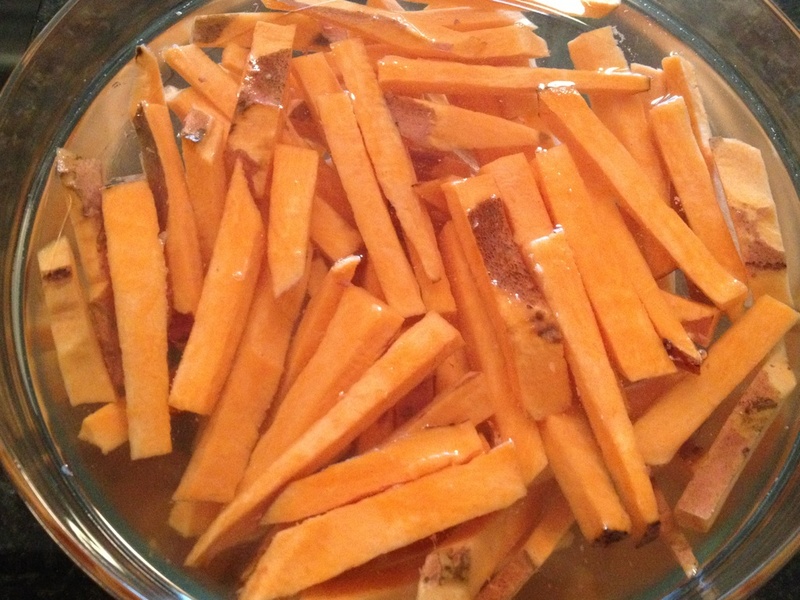 It is recommended that you let the potatoes soak in water for an hour (helps remove the starch). This is an optional step but I recommend doing it to guarantee crispy fries. 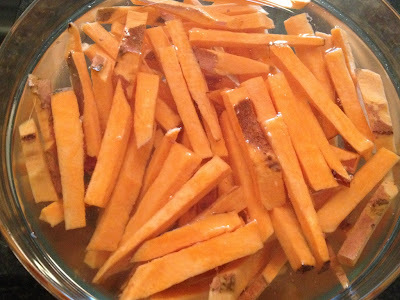 Make sure that if you soak the fries in water that you dry them thoroughly when you remove them. 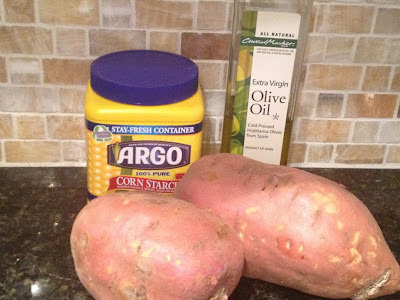 Place the corn starch in a large ziplock bag and add the sweet potatoes to the bag. Shake the fries around until they are lightly coated with corn starch. I recommend using a nonstick pan to cook the fries on. If you do not have one, then foil will work but make sure you spray it with nonstick cooking spray. Add the potatoes to the pan. 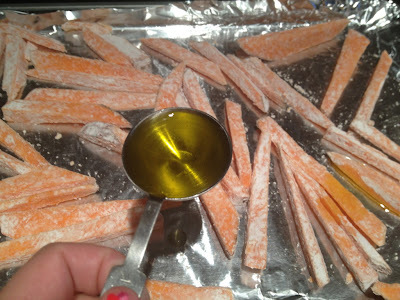 Drizzle the 2 tbsp of olive oil over the fries. Using your hands, toss the fries around to make sure they are well coated with the olive oil. 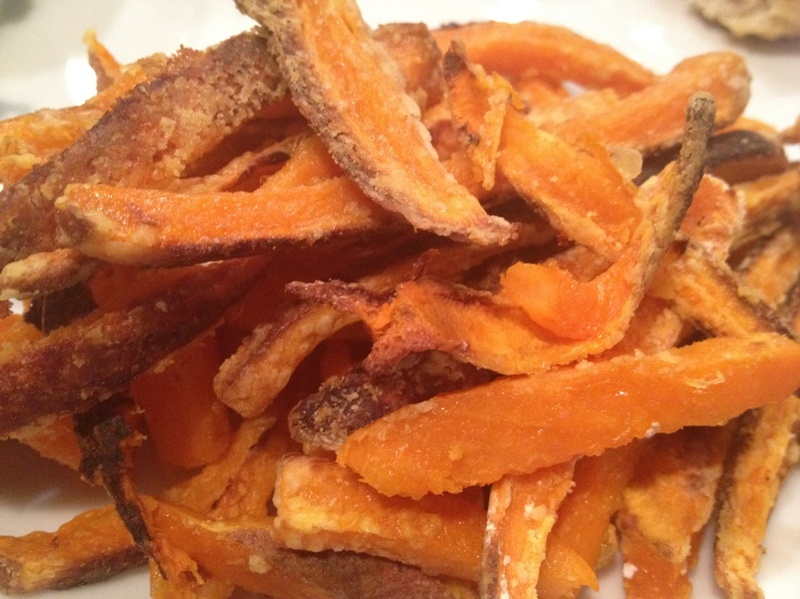 Arrange them on the baking sheet, ensuring there is enough space between the fries. The less fries on the pan, the better they will cook. If there are too many fries on one sheet, they will never get crispy. Trust me, I learned this the hard way. 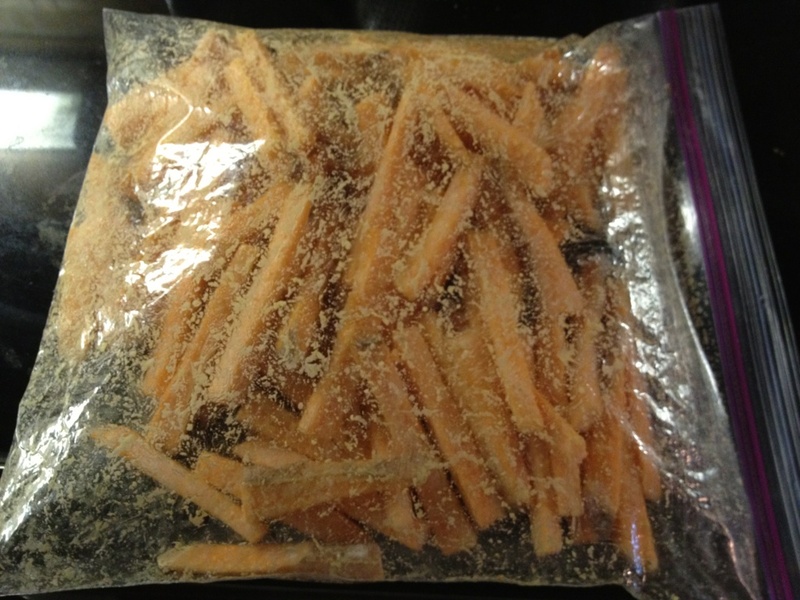 I recommend using 2-3 nonstick baking sheets to cook the fries on. 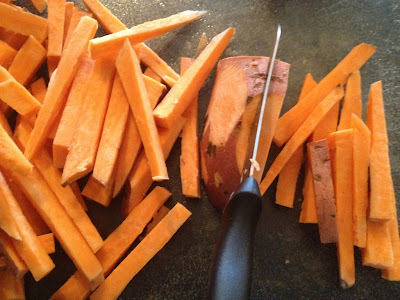 Cook the fries for 10-15 minutes and then flip them with a spatula and cook for 5-10 more minutes or until crispy. Finally, season the fries to your liking and enjoy!